The Developers Association welcomed the Whitepaper proposals on rent. 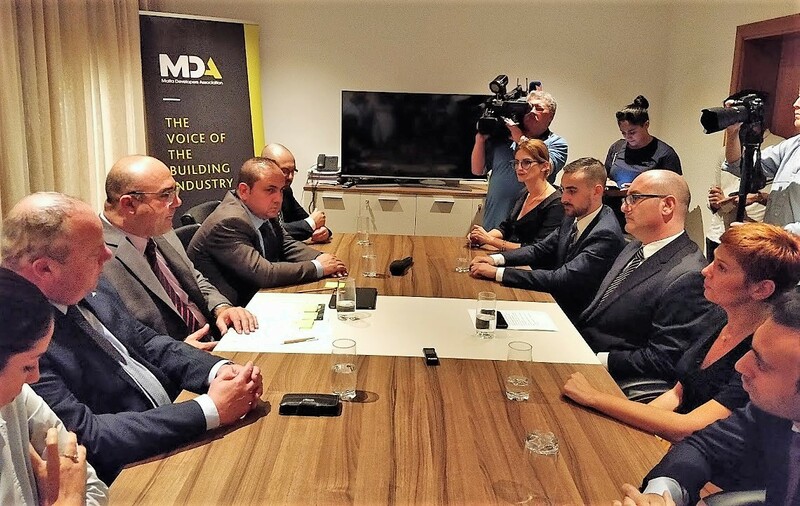 During a meeting with Parliamentary Secretary Roderick Galdes, MDA stated that it wants to continue assisting for affordable housing in the market, both for renting and also for sale. The association’s President, Sandro Chetcuti, proposed that the Government should now consider just solutions on pre-1995 rents. MDA considers the whitepaper on rent market as a good balance between the owners and tenants. Parliamentary Secretary Galdes said “we always said that this whitepaper creates a balance between both sides. Our proposals were accepted, that is we will be working on them to come out with the necessary details”. During a meeting in the series that Parliamentary Secretary Galdes is having with various organisations, he said that the Government considered MDA’s proposals to increase supply of affordable housing through a partnership with the private sector. Mr Chetcuti stated that the Association wants affordable housing in the interest of market stability. “We are discussing with prominent architects in the country, and we also have a study being carried out with auditors to select specified projects for this aim so that Maltese continue with the tradition of having the opportunity of purchasing their residence”. Apart from the increase in affordable housing for sale and renting, he said that the Association is proposing to the Government to introduce more incentives for those who rent properties. He also proposed that the Government considers to seek a solution on pre-1995 low rents so that these are more reasonable to owners.